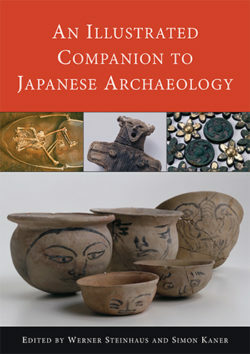 The Illustrated Companion to Japanese Archaeology provides, for the first time a comprehensive visual introduction to a wide range of sites and finds from the earliest occupation of the Japanese archipelago prior to 35,000 years ago to the early historical periods and the establishment of the Chinese-style capital at Heijō, modern-day Nara, in the 8th century AD.The volume originated in the largest ever exhibition of Japanese archaeological discoveries held in Germany in 2004, which brought together over 1500 exhibits from 55 lenders around Japan, and research by over 100 specialists. The Illustrated Companion brings the fruits of this project to an English-reading audience and offers an up-to-date survey of the achievements of Japanese archaeology. Werner Steinhaus is Lecturer in Archaeology at Hiroshima University in Japan. After graduating from Freiburg University in Germany he undertook postgraduate research at Osaka University in Japan, specializing in the archaeology of the Kofun period. He spearheaded the largest overseas exhibition of Japanese archaeology ‘Die Zeit der Morgenröte’, which was held in Germany in 2004/2005. His recent publications include the Online Dictionary of Japanese Archaeology (www.wakoku.eu). He is currently developing a new program of research on the ancient mounded tombs of the Kofun period. Simon Kaner is Head of the Centre for Archaeology and Heritage at the Sainsbury Institute for the Study of Japanese Arts and Cultures (www.sainsbury-institute.org) and Director of the Centre for Japanese Studies at the University of East Anglia, Norwich, UK. While Studying for his PhD in Jōmon settlement archaeology at the University of Cambridge, he undertook research based at Kyōto University in Japan. His publications include The Power of Dogū: ceramic figures from Ancient Japan (London, British Museum) and the Online Resource for Japanese Archaeology and Cultural Heritage (www.orjach.org). He currently directs the Shinano-Chikuma River Project, investigating the development of historic landscapes along the longest river drainage in Japan. For more information, please visit Archaeopress.